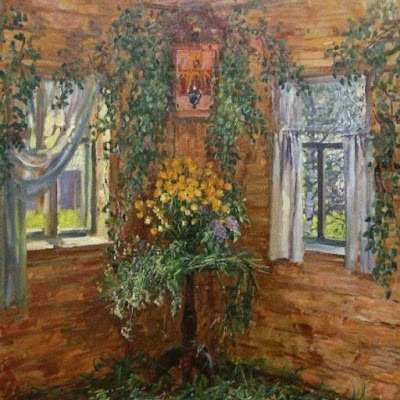 The painting is by Mikhail G. Abakumov. 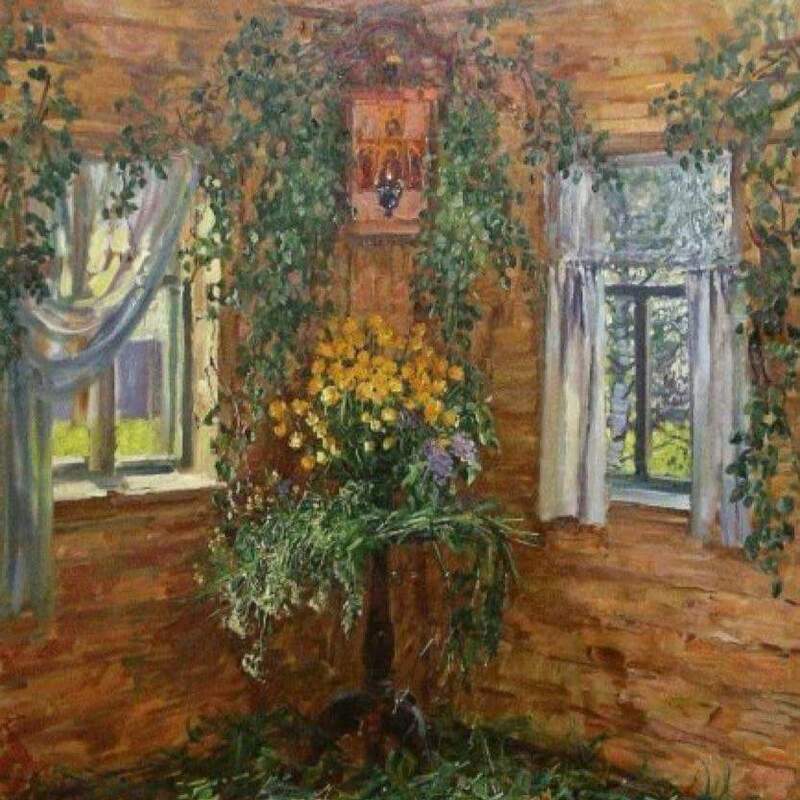 This is a beautiful painting! Who is the artist?